Looking for a cycling shoe that's equally surefooted for walking? With its Vibram sole, the Giro Petra is a perfect choice for both biking and hiking. Vibram rubber soles are renowned for their surefooted grip. High-quality, breathable synthetic leather and mesh uppers. Laced closure with lace keeper. The EVA footbed offers a medium level of arch support, perfect for the majority of riders. Compatible with any Shimano SPD-style 2-bolt pedal cleat(not supplied - cleats come supplied with the pedals not the shoes). 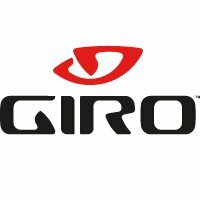 Giro Petra VR Shoes are also fine with regular flat pedals, with or without toeclips and straps. The sole is stiffer at the 'pedal stomping zone' for cycling efficiency, more flexible under the toes for walking comfort. Manufacturer's published weight: 405 grams per size 39 shoe. We take an upper made from a supple, breathable microfiber and mesh and match it to an injected inner shank to help power transfer to the pedals.